I got permission from my customer to show off her first quilt. I love the soft blend of the colours in it. She is not so sure about the colours she used. 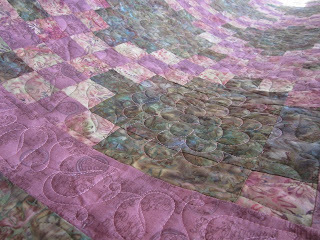 I hope she will be thrilled to see it quilted. It is like magic once they are quilted. They go from just fabric pieces, to being a quilt. Her plan is to pick it up later this week. Before I started, I showed her photos of my work and some real stitching and then I did some drawing to get the scale correct for her quilt. She choose a cabbage rose for the main block and leaves and loops for the chain and the borders. I am still working on Blogocterfest. 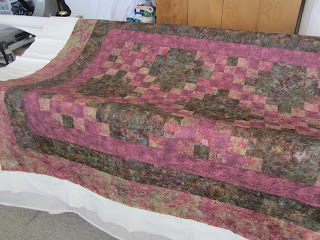 So far I have been able to keep up with a post everyday and mostly it is creative quilting posts. 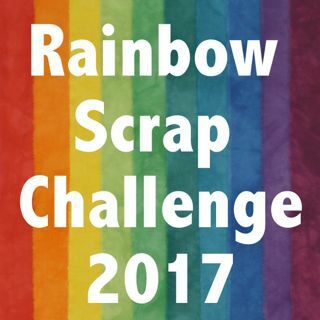 8 more days left. 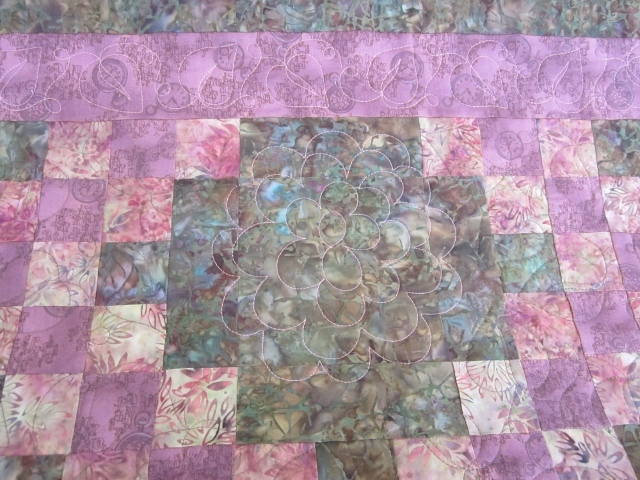 Lovely quilt and lovely quilting! I totally agree - the quilting just bring a top to life. I'm sure your customer is going to be thrilled when she sees it. It's beautiful! I wish my first quilt looked so gorgeous. I hope she continues to quilt...can you imagine her 10th quilt? Wow.